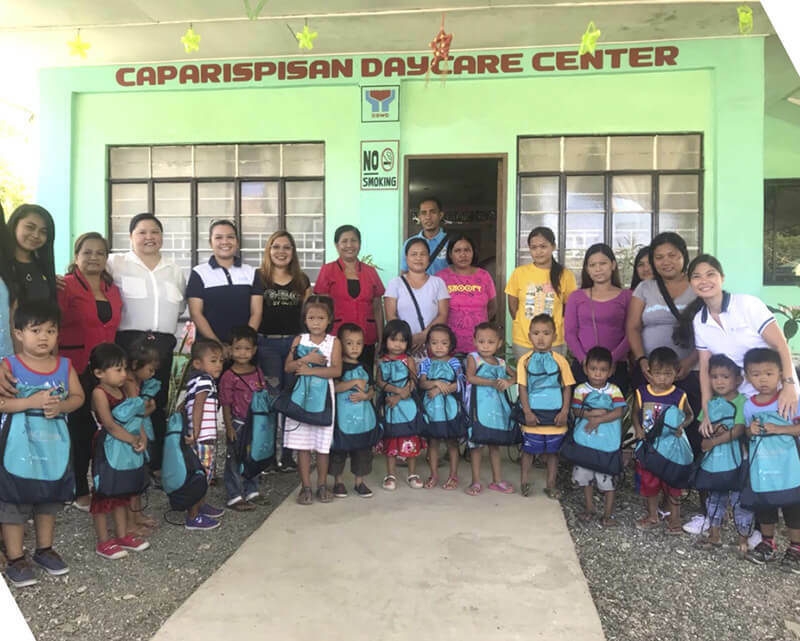 June 26, 2018 | Pagudpud, Ilocos Norte – As part of the group’s Brigada Eskwela initiatives in its partner communities, AC Energy and North Luzon Renewables reached out to the students of its supported schools in Pagudpud, Ilocos Norte. The group, headed by AC Energy AVP for Corporate Marketing & Sustainability Irene Maranan and NLR Senior Manager for Stakeholder Relations & CSR Lai Tuba-Principe, led the distribution of books, school bags and other school supplies to elementary students in barangays Caparispisan, Saud, Caunayan, Subec and Tarrag. Brgy. Caparipisan hosts NLR’s 81-MW wind farm in the municipality of Pagudpud. In May, AC Energy also participated in #BrigadangAyala, Ayala Group’s groupwide program gathering employee-volunteers from all its subsidiaries to support DepEd’s Brigada Eskwela Initiative. The volunteers distributed school supplies and joined the parents and teachers in cleaning and repainting classrooms at Margarita Roxas de Ayala Elementary School in Metro Manila, and at Praxevilla Elementary School in Bais City, Negros Oriental.